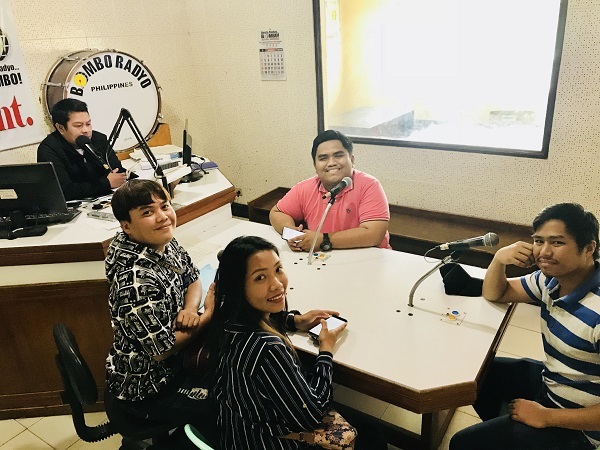 Tampakan residents Dutches Dariagan, Wynlove Galagaran, Kier Castillanes, and Juster John Escobillo were guests at Bombo Radyo Koronadal’s Good Morning Pilipinas radio program, which aired on Sunday, 25 March 2018. They are all former scholars of Sagittarius Mines, Inc., and represent the many young professionals from the long roster of successful SMI scholars who have chosen to join government service. Anchored by Bombo Mike Sixto, the radio show discussed how these former scholars achieved success early in their lives, and how they can contribute further to their community’s progress. “Half of my success in being able to finish college and becoming the professional I am today is because of SMI,” declares Dutches Dariagan. Dutches has a degree in Geodetic Engineering from the University of Southeastern Philippines (USEP). As a licensed professional, she now works as Engineer I at the General Santos City Engineers Office. Wynlove Galagaran and Kier Castillanes are licensed mining engineers. They both received their degrees in mining engineering also from the University of Southeastern Philippines. When DENR Secretary Roy Cimatu committed to strengthen the enforcement of mining and environmental laws in the community and provincial level, the Mines and Geosciences Bureau regional offices hired contract of service personnel to be embedded in the DENR's Provincial and City Environment and Natural Resources Offices (PENRO/CENRO). Both Kier and Wynlove responded to the challenge and were successfully hired for the job. Wynlove is currently assigned in Sultan Kudarat PENRO while Kier is embedded in South Cotabato PENRO. “Responsible Mining is real. We keep on denying that it exists. We ourselves as SMI scholars are products of responsible mining. Even though the Tampakan Project is not yet operating, SMI has already made sure that the people and communities enjoy the benefits of mining,” according to Wynlove. For Kier, responsible mining means the mining contractor and the government have a shared responsibility to implement and enforce the laws. "Community members must also be responsible and engaged citizens. For responsible mining to happen, every one of us should likewise be responsible,” he said. Juster, on the other hand, is a licensed agriculturist. He graduated from the Mindanao State University – General Santos City Campus and now works as Teacher II at DepEd Koronadal. “When it comes to mining, the people should be more open-minded. People are quick to blame SMI when there’s flooding after a heavy rain, even though SMI has not yet started anything in the area. But as an agriculturist, I want you to see that all of us are to blame for the flash floods. Farming or food production, kaingin, and population growth may well be blamed for the flooding,” he enthused. The Philippine Mining Act of 1995 mandates a mining company to develop the mining communities, and also invest in mining technology and geosciences. SMI has identified education as a critical development program for the host communities within the Tampakan Copper-Gold Project area. Thus, from 1997-2017, SMI has provided P149 million to the 4 municipalities, 10 barangays, and 11 indigenous cultural communities as educational support and access to education that has benefitted tens of thousands of elementary, high school and college-level youth in those areas. 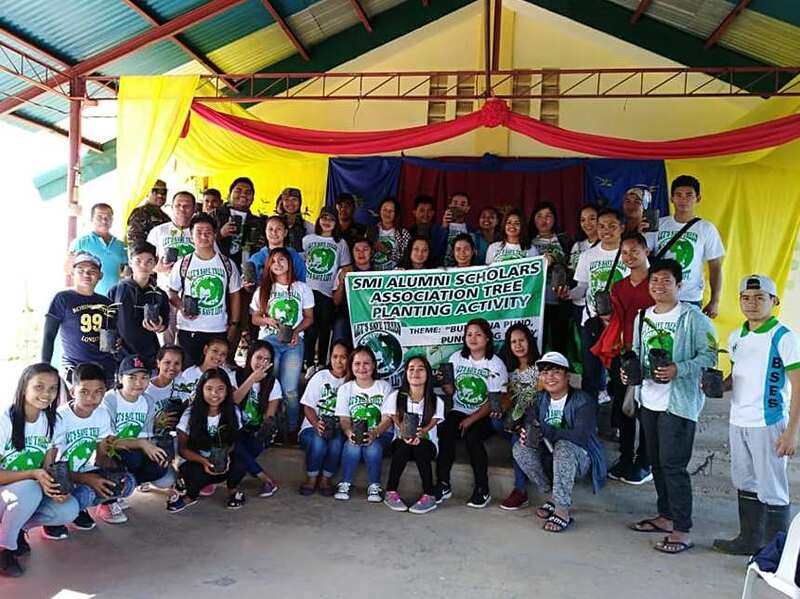 SMI has also directly managed a full scholarship program called the Samahan ng Matatalinong Indibidwal-Scholarship Program (SMI-SP) for the top 10 high school graduates of the host municipalities.